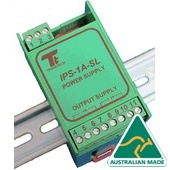 The IPS-BC-140W-PB features a Universal Mains Powered (80 240V AC/DC) battery charger and 140 Watt Power Supply all in one package, especially for SCADA applications. The IPS-UPS-100W features a Universal Mains Powered input (80 240V AC/DC) and 12/24Vdc output. The IPS-UPS charges a single 12V SLA battery that also takes over if the primary power is lost , offering the user a non-break 24Vdc supply. The IPS-1A-SL is the first in the series designed by Transtech and is a combination of switch mode and linear technology utilizing mains rated toroidal transformer offering low thermal dissipation thus eliminating the switch mode characteristic of auto-shutdown when loads exceed the rated design. 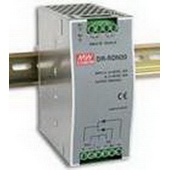 Transtech offers a full range of switch-mode power supplies as well as a DIN housed 1 Amp Linear design model.